Just two weeks ago I was re-acclimating myself to the US Eastern time zone and the (unfavorable!) weather that December in northern Indiana brings. 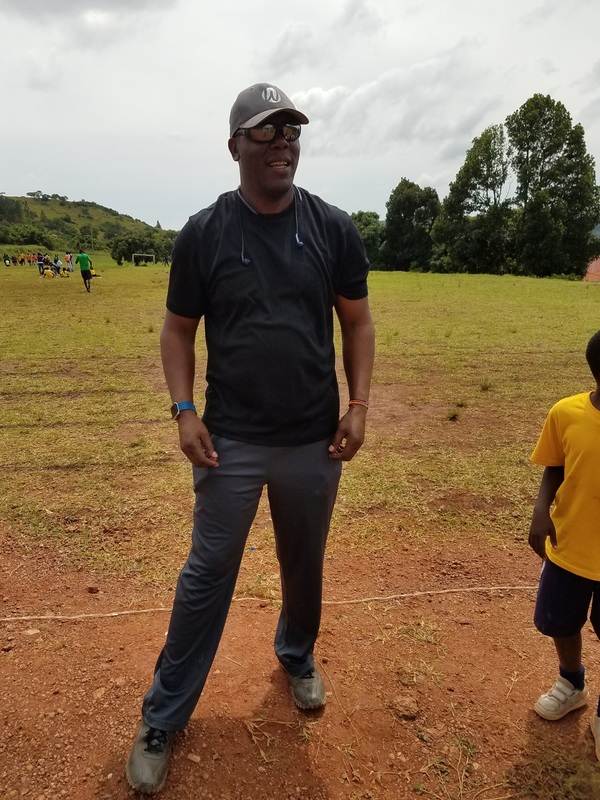 I had just returned from Uganda – “the Pearl of Africa” – where the weather was perfect, the food was amazing, and the people had just started to become friends. On November 19, after a flurry of preparation (passport, visa, packing, book printing), I boarded a plane in Chicago that would take me to Entebbe, Uganda, East Africa (with layovers in Detroit, Amsterdam, and Kigali, Rwanda). 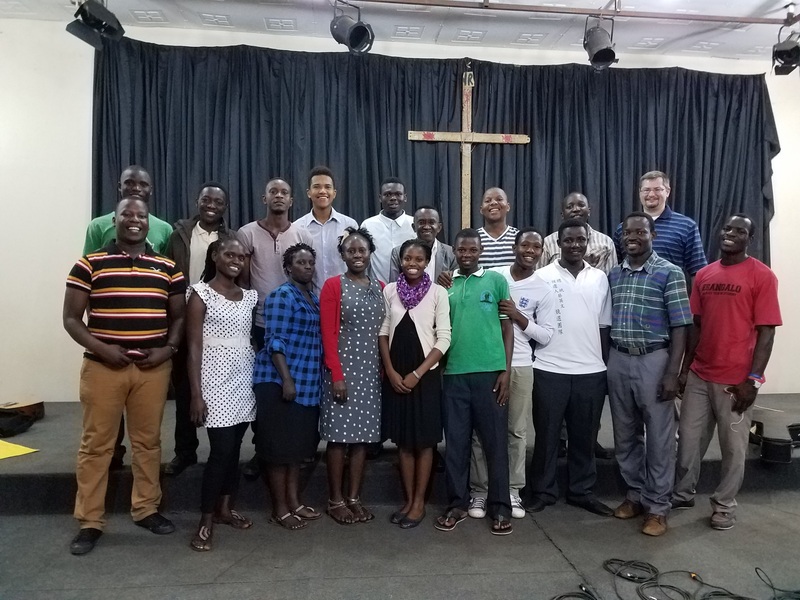 I had been invited to teach the book of Matthew over two weeks at the Word of Life Africa Bible Institute, to a group of 29 students (left). In addition to the students from Uganda, I met people from Kenya, Rwanda, Mozambique, Zimbabwe. These were students, staff, faculty, and discipleship interns. 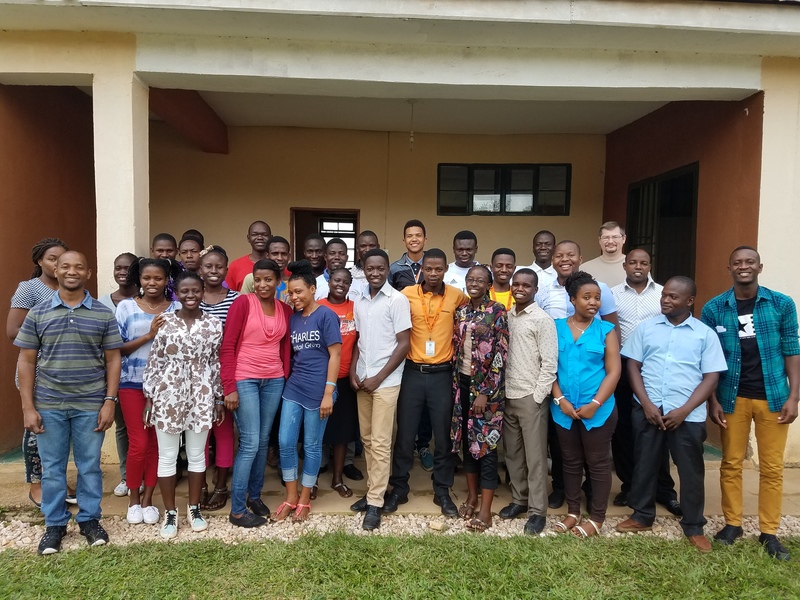 There were also two staff members from Word of Life in Nigeria, who had come to Uganda for six months to shadow the team there, learning best practices that they could take home with them to strengthen their ministry in West Africa. I had no idea what I was getting into. I honestly thought I would teach the class, share a couple of group devotions, and maybe preach in the English church service once. With guest teachers coming in every week or two, I thought I would be just another teacher, sharing my understanding of Scripture to a group of people who were itching to leave for the semester break. How far from the truth that was! Fighting through my Midwest accent, this group of students (ages 19-27, roughly) engaged in class discussion, carried these conversations over to meals, and walked with me the well-worn paths between the classroom building and other parts of campus. One evening I was invited to participate in a dinner for the student leaders – RAs, ministry team leaders, etc. – who had served their fellow students that semester. As a special treat, for supper we had burgers, fries, and pop. In 1991, I went with Word of Life to Kenya, where I spent two weeks doing various ministry with 40 other people from the States and the teams on the ground. Many of my friends and family could confirm that, for the past 25 years, I’ve said that I want to go back. Well, Uganda isn’t Kenya, but it is right next door. I thought that was close enough. Little did I know just how quickly and easily those years would disappear. Two things rushed me back those years more than anything else. On my first night there, for supper I was served a flatbread called chapati. 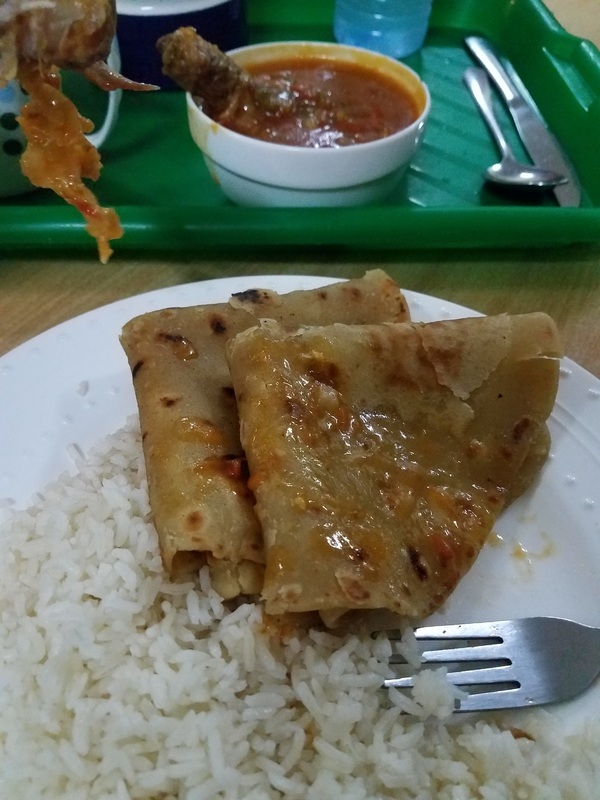 The smell, the texture, the taste immediately took me back 25 years to one of my favorite foods in Kenya. It was a comfortable welcome back to Africa. The second occasion actually had to do with people, not just a situation. I “met” two men in Uganda who were on the ministry teams in Kenya when I was there in 1991. We had met or served together 25 years ago, and it was a pleasure to re-connect with them. 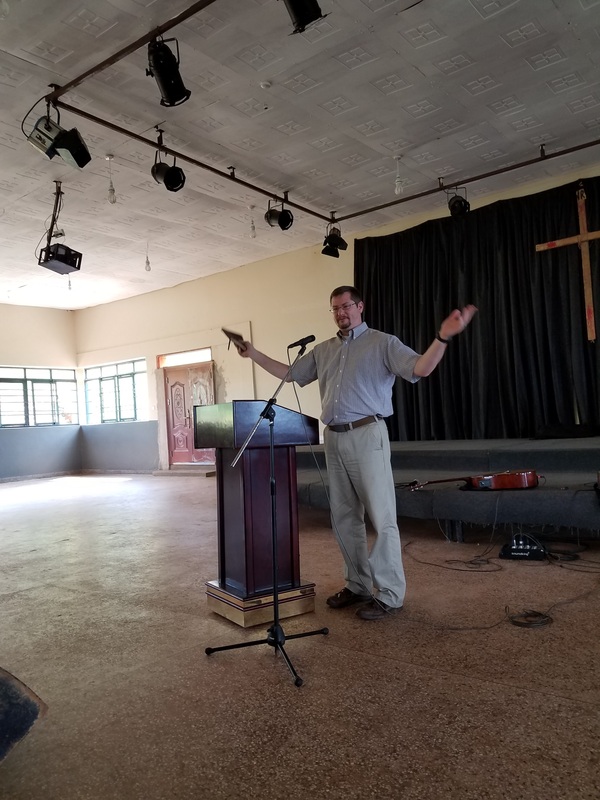 Thomas came from Kenya to begin the ministry in Uganda in 2003. 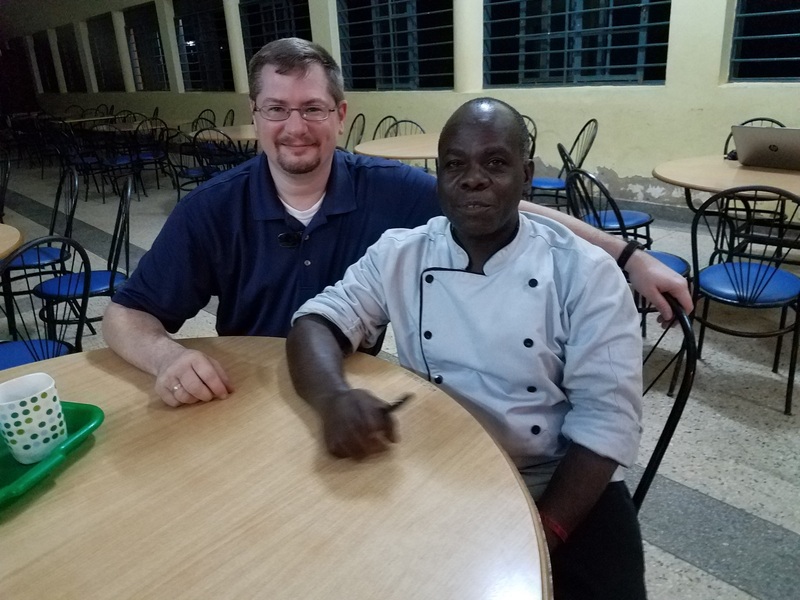 Peter was a line cook in Kenya, who later completed his culinary degree and moved to Uganda as the chef for the ministry there, serving balanced food year-round to the students and campers. In addition to teaching in the classroom, I was able to teach in the church services both Sundays that I was there. The first week I taught on 2 Peter 1:1-8 and the discipleship process in our church that we call The Path. The second week they assigned me Matthew 4:1-11, the temptation of Jesus. It was a wonderful time of singing, study, and fellowship. The first week we also celebrated the baptism of three students from the Christian school and Bible Institute. 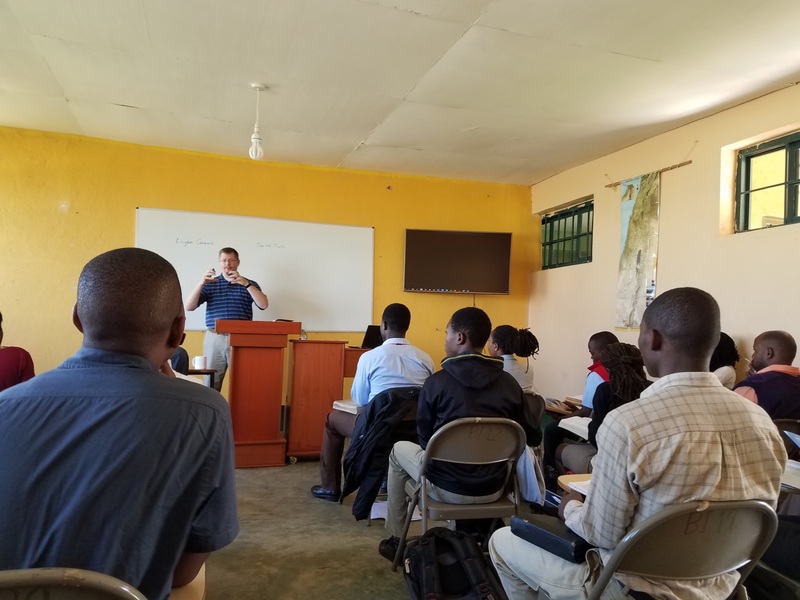 On Monday of the second week, I was invited to meet with the Bible Institute staff to explain The Path and talk about discipleship in more detail. It was fun to discuss ideas and share perspectives that we had not necessarily considered before. They have such a great opportunity to influence people all over Africa, and it was a privilege to be a part of that. I did get to do a little sight-seeing while I was there, most importantly the source of the Nile River. Coming from America, where we commercialize everything, I was surprised by how low-key it was. To stand at the source, where it begins its 3-month flow from Lake Victoria to the Mediterranean Sea, was pretty cool. I have been invited back to teach the book of Matthew again next fall. I pray that I will have the availability and funds to go again. In the mean time, I have been able to connect with several of the students and staff on social media and look forward to continuing to help them in their study and growth. Thanks to everyone who prayed for me and contributed toward my expenses. I’m grateful for the opportunity to serve, and you had a hand in it. I want to thank you for subscribing to my blog. I know I use it primarily to share Bible studies, but occasionally I pop in with a more personal post. I’ve been intending to write this one for a couple of months, but more and more things happened that I wanted to add, so I’m finally just doing it. It won’t be as in-depth as I had originally planned, but it should cover everything that’s been going on. In June, I put a new roof on my house. What should have taken about four days end up taking two weeks as we kept running into one problem after another. I thought the rest of the summer would be easier. In July, we took two of our kids to camp and sent two to Costa Rica on a missions trip. We all had a good time, and Nathan and Micah learned a lot about their faith, ministry, and how big and diverse God’s Church really is. In August, my dad went into the hospital in Florida, underwent emergency surgery, and wasn’t released for a month for many health reasons. During that time, Saralynn was with my parents for a week, then I was with them for 10 days, helping my dad gain strength and walk again. He’s back to work, albeit a little slower than he was. While I was in Florida, my maternal grandma died back home in Indiana. My brother took care of most of the arrangements here, then my mom and I came back. Josh and I did the funeral on August 28. In September, Saralynn and I took Nathan to Word of Life Bible Institute in New York for a year of college. Although we talk regularly, it’s different having our first son gone and looking to see the next one possibly leave in a year. It’s a whole new season of life. In October, I attended a lecture series in Florida with some friends. The day after I returned a church member died after a long battle with renal failure, diabetes, and more. I did his funeral just two weeks ago. Also this month, I was invited to teach as a guest lecturer at the Word of Life Africa Bible Institute in Uganda at the end of November. Although it was short notice, my passport is renewed, my vaccinations are done, and my visa application was approved, so I’m ready to go. I’ll be teaching the book of Matthew for two weeks to 30 students from countries like Uganda, Kenya, Rwanda and Mozambique. Regardless, I appreciate your prayers for our family. It’s been an interesting summer and fall for us, and there are more things coming up that we’ll have to make decisions about. Thanks again for reading. If you ever have questions about the Bible or something I’ve written, please send me a note. I’d love to talk with you. BTW – if you don’t know, my Bible summary posts follow our church Bible reading plan, which you can download for free here. I was reminded of an old hymn yesterday that I haven’t thought about for a very long time. In this age when absolutes are ignored and truth is no longer searched out; when churches are teaching everything except the Bible in order to “earn a hearing;” when even so-called pastors are to redefining the message of the Scriptures, may God’s people return to the only source of truth and absolute authority in this world.